Limitless Electronics, your one stop shop for everything car audio related. We carry top of the line brands to take your car audio experience to the next level. We have been serving the Idaho Falls area since the mid 90s and we have a combined experience of over 60 years. We proudly stock the following brands for Idaho Falls car audio subwoofers. Not sure what subwoofer will be best for the make and model of your care? 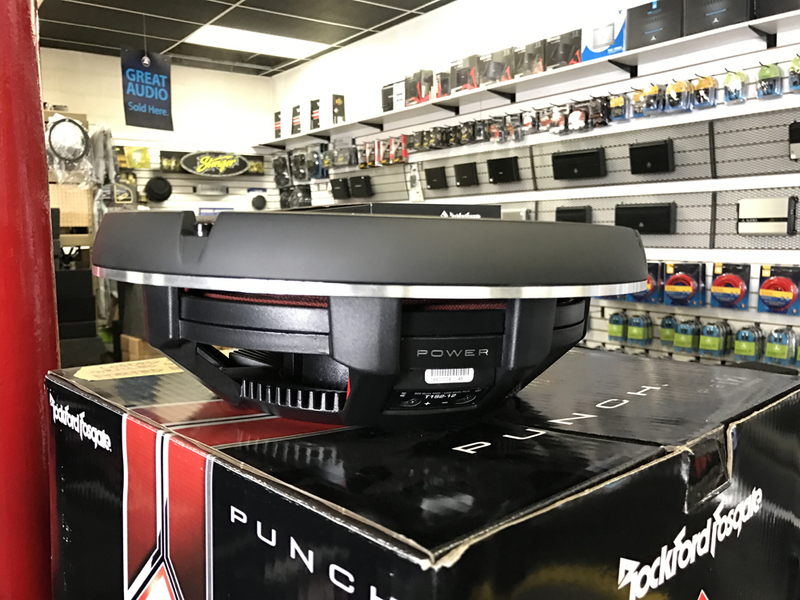 Come into our showroom today and one of our trained staff members will help you choose the perfect subwoofer for your needs. Choose from any of our selection of subwoofers, enclosed subwoofers, and different Bass packages. We also specialize in the installation of any car audio products or accessories you purchase. 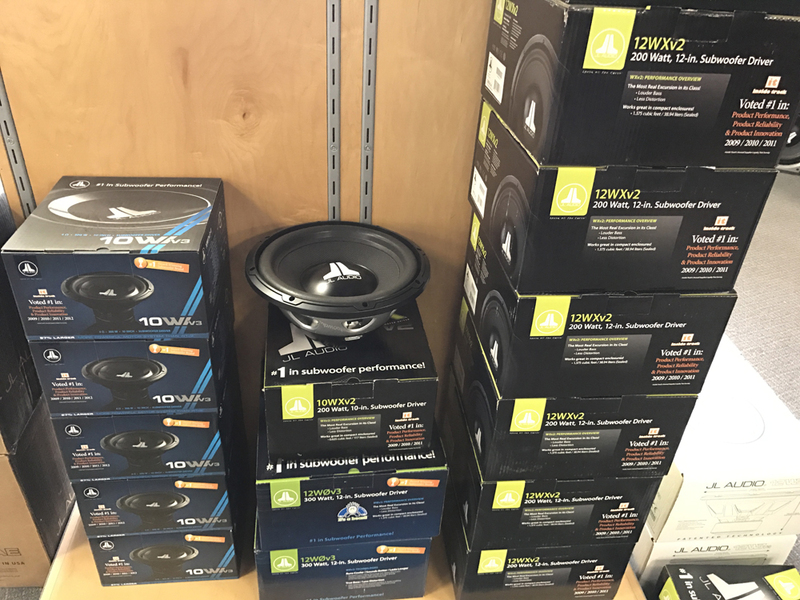 Even though quality subwoofers will take the bass in your car to the next level, Idaho Falls car audio subwoofers can help the quality of sound in your vehicle in a number of ways. Developed in the 1960’s subwoofers have become a vital instrument for car audio systems. These days, subwoofers are used to pick up the low frequencies of bass, but they can also help make the music in your car sound better and help your car audio equipment last longer. Prevent Distortion – When the bass range in a car is handled by normal car speakers this can create the problem of distortion. Distortion happens when you try to put more volume and power into a speaker than it can handle. This usually happens with the low frequencies of the bass, since it generally requires more power and output for a clear sound. Create Realistic Sound – Car stereos without subwoofers are faced with the tall order of having to produce a full spectrum of sound without the luxury of large speakers and woofers. This problem is solved with the use of any of our Idaho Falls car audio subwoofers. Prevent Damage to Speakers – Playing low frequency, high volume sounds can cause speakers to crack or tear. The limited movement of speakers is better adapted for quicker and higher vibrations – the opposite of bass frequencies. Subwoofers are usually placed in the boot or floor of a vehicle to help with stabilizing the vibration of the low frequency sound. Can Be Placed for Optimum Performance – Since bass is non directional, subwoofers can be placed strategically in the car for optimum and all over sound experience. Putting your subwoofer in the back of the car and will have a similar effect if it was to be placed in the front or under the seats. This is great for vehicles with limited space. Let us take your Idaho Falls car audio to the next level when you purchase one of our top of the line brands. When you stop into our Idaho Falls showroom you can expect to talk to the Expert experts in car audio experience. You won’t find a more knowledgeable staff anywhere. This is our life!